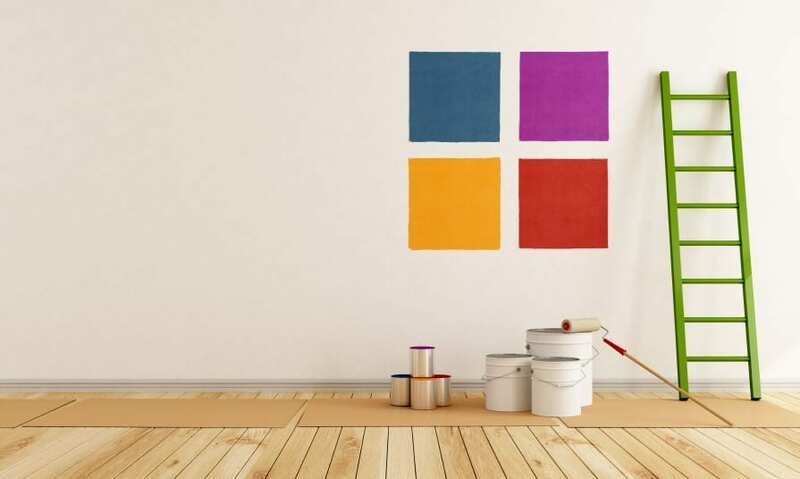 Fun fact: Painting your walls effectively can raise your home’s value. Having a nicely painted wall in your home can make a massive difference on its ambience and overall apearance. After all, repainting your walls works as an instant makeover project that will translate outstanding effects worth your efforts. All you have to do is to know how to paint your walls like a pro and apply the right techniques necessary to ensuring the best effects worth your time and money. Even if you are a newbie in this activity, this should not stop you from going onward and pursuing this task. So, read along and discover ways on how you can give your walls a great look the most efficient means possible. Initially, you need to prepare the area that you will paint on since any cracks or dents can have a negative effect on the paint job. The right thing to do is to start by using a painter’s putty for fixing and covering any dents on the wall or items to be painted. This works great for minor cracks, and all you need is a plaster of Paris, as long as the dent is over 1/8 inch in depth. You can also get a good quality primer that is sprayed on the area, which is best for cracks. Just be sure to avoid using spackle on wooden items since this will never stick on the material. A pole sander for drywall, however, is effective in making any bumps and nibs smoother for painting. Sanding walls that are painted previously is also a must in ensuring better adhesion of paint since this process makes the area much smoother. Sanding causes the paint to stick well to the surface, aside from the fact that this technique gets rid of chipped paint and uneven texture. If you want to achieve a glossy and smooth trim, you may want to use a special tool to obtain this effect such as a sanding sponge. This works much better than paper since it molds to the trim’s shape, and it will not rip easily. When it comes to using latex paint on a wall that previously had alkyd paint or some unknown finish, you may use a liquid sandpaper to degloss the surface and make sure the paint will adhere to the area. It only makes perfect sense to avoid painting over dust, as the effect will be undesirable. Prepare the walls by washing them with a mild cleaner or trisodium phosphate. However, if the issue on the wall is stain from smoke, you can use equal parts of water and bleach to get rid of such imperfection. Dip your sponge or rag into the bucket with cleaning solution and scrub the wall thoroughly. Before you dip the sponge again, rinse it first with clean water and be sure to cover any cracks and gaps before the painting process.